You are very welcome to join us for the outcome of our project. The children's work will be on display, along with some poppy messages that they have created. 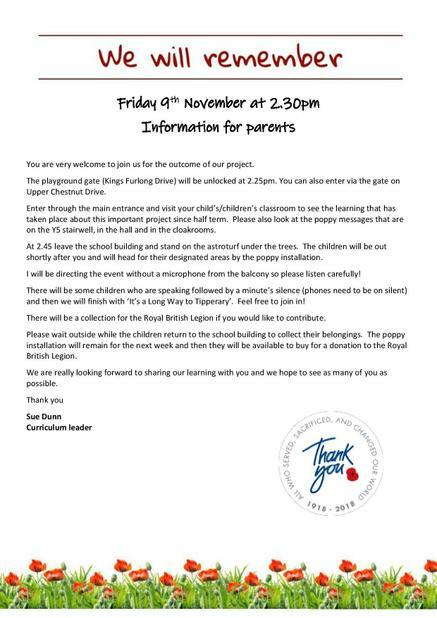 At 2.45, we will gather near our poppy installation, at the astroturf under the trees. There will be some children speaking, followed by a minute silence. We are really looking forward to sharing our learning with you and we hope to see as many of you as possible. Full details are provided in the below flyer.